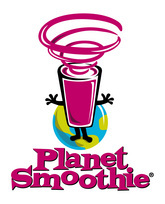 Planet Smoothie Franchises Llc with its headquarters at Atlanta, Georgia, and originally a national franchisor of about 100 numbers, also doing business in the world of consumer products selling smoothies and all natural snacks to cosumers caring for their health, was acquired by Tasti-D-Lite the frozen-dessert network for low-calorie needing consumers in 2011. As of today, this company is operating about 170 locations, with commitment to open about 500 more outlets worldwide in the coming days. The new company is a majority-owned by Snow Phipps Group LLC, a New York based private equity firm. Main products sold are frozen desserts which are in great demand. There are currently 0 consumer reviews about Planet Smoothie Franchises Llc available. Share your review. Please take a note that you are about to post a public review about Planet Smoothie Franchises Llc corporate office on CorporateOffice.com. This review will be public, so please do not post any of your personal information on this website. If you would like to contact the corporate offices of Planet Smoothie Franchises Llc, please use their contact information such as their phone number, website, and address listed above to contact them. However, sometimes staff from Planet Smoothie Franchises Llc headquarters do read the reviews on this website.